This essay is not a review of Tom Hooper’s recently released film of the tremendously popular 1980s stage musical. However, the release of this film has given me the occasion to read and to reflect upon the original text, a mosaic of social indictment, history, social philosophy, sentimentality, and spirituality. Victor Hugo’s Les Misérables (1862) is the great prose epic of the nineteenth century. Interweaving the social and spiritual threads of human life, the novel has been influential in making people desire a more just world. The author condemns the unjust class-based social structure in nineteenth century France for turning good people into criminals and beggars. He makes a case that crime and poverty can be eliminated through universal education, a criminal justice system that is flexible and focused on rehabilitation rather than punishment, and the more equal and humane treatment of women. Despite these broad recommendations, Hugo offered no practical solutions for reforming schools, the police, the courts, and the prisons. Les Misérables is a call for a wiser and nobler civilization. When it was released, it inspired a great deal of sympathy for hapless people oppressed by the state. It was also viewed as a celebration of revolution against tyranny. 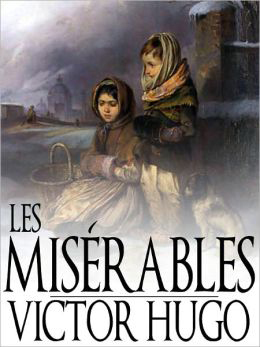 Les Misérables is an epic novel focused on characters fighting against their exploitation and oppression. We see the injustices and disproportionate sentences piled upon Jean Valjean, the abuses suffered by Fantine, the brutality foisted on Cosette, the maltreatment of Enjolras and his fellow revolutionaries, the plight of homeless children, and so on. All of these are examples of society’s injustice toward the lower classes. Through these stories, the novel exudes sympathy from the reader for the most wretched in society. The message is that, if men murder and steal and women fall from grace out of desperation, it is not their fault because they can find no honorable path to sustainability within the constructs of society. Rather, it is the fault of society and its creations, the state and the law. The state and its legal system are shown to be disinterested in the conditions of the dangerous classes. Society is thus culpable for dehumanizing the poor and for the crimes committed by the dregs of society. Les Misérables chronicles the corruption of police power, shows that society gives the convict no chance for redemption, and illustrates how France’s prison system not only continues, but also accelerates, the downward spiral of criminals. On the one hand, Valjean represents suppressed and destitute people whose place in life is determined by positive laws created by society’s elite in order to perpetuate their own superiority. On the other hand, Valjean illustrates that it is possible for men to rise above their circumstances. Bishop Myriel of Digne is not a typical bishop or even a conventional Christian. He operates on his own innate sense of morality—it is not provided by Christianity. True morality is higher than, and separate from, any particular religion. Religions pass away but God remains. Myriel acts out of genuine sympathy and caring for the weak and the downtrodden. The Bishop has chosen a consistent belief system and life path and has dedicated his life to the active service of humanity by performing good deeds and engaging in heartfelt charity. Myriel believes that it is each man’s duty to perform good acts despite the fact that he may never know if the good acts he has performed for people will lead them to change their lives for the good. His religious humanism is far from orthodox Christianity. When Myriel forgives Jean Valjean for the theft of the silver, he offers him his initial opportunity for redemption. After this incident, Valjean has a choice to make. He could either continue on a path of crime or he could follow the example set by the Bishop. Having learned from his past, Valjean goes on to help the poor and the wretched. He adopts a new life, identity, and mentality. His new life includes honesty, love of neighbor, love of enemy, and love of God. Throughout his life, the Bishop is always with him as symbolized by the candlesticks. Myriel acts as a model and an inspiration for Valjean for the rest of his life. Throughout the novel, Valjean imitates more and more the Bishop’s asceticism, renunciation of worldly pleasures, and emphasis on sacrifice. Choice is difficult for Valjean, who has a double nature—he has the experience of a convict and the instincts of a saint. He is a product of the social conditions that led him to steal a loaf of bread for his sister’s family and his prison time for punishment of that crime. Despite that, he still has the potential for good in him. Over and over, he has to choose between doing what is right and doing what is safe and secure. At virtually every turn, Valjean doubts and questions himself before making the morally correct choice. Les Misérables is very much a story of a man’s conscience at war with itself. After meeting the radiantly spiritual Bishop Myriel, Valjean’s life becomes a continuing struggle between his activated moral sense and his lifelong criminal tendencies. As Monsieur Madeleine, Jean Valjean redeems himself by becoming an innovative entrepreneur who creates a successful manufacturing business that brings about progress and prosperity for an entire region. This successful and kind person voluntarily does good deeds to help the less fortunate. Valjean’s actions exhibit justice to individual people rather than observance of the requirements of some abstract legal order. In addition to providing a reasonable standard of living for his employees, he builds schools and hospitals with his own money and distributes a large share of his wealth to the poor. Then, of course, he takes care of Fantine and rescues, raises, and protects Cosette. Ironically, the tolerant Valjean sympathizes with others but is unable to sympathize with himself. He understands that although a person can repent for a crime, he can never escape the dishonor of having committed it. Inspector Javert cannot accept transgressions of the law, regardless of circumstances. He represents the idea of punitive secular justice and is solely concerned with detection and retribution. Javert is absolutely committed to rules and to their administration. As a defender of France’s legal system, he is dedicated to following the letter of the law rather than the spirit of the law. The well-intentioned, rigid, and dogmatic Javert wants to protect society from the criminal element and has total faith in the system of laws that he represents. Javert, the personification of public authority, contends that theft is wrong regardless of mitigating factors. Myriel, representing morality, would say that theft should be forgiven in the case of acting to keep people from starving. Of course, our hero, Valjean, is caught between these two worldviews. Toward the end of the novel, Javert comes to understand that Valjean is concerned with a moral law higher than positive state law. In the end, he empathizes with Valjean and comprehends that divine law has supremacy. Javert commits suicide because this realization disaffirms everything in his life that he believed in. The story of Javert provides a lesson about the limitations of the laws of men. At the end of his life, Javert understands that Jean Valjean’s resistance to Javert’s tyranny is rooted in a belief in a higher power and law than the laws of men. The novel teaches that individual men are dignified, honorable, and benevolent, but that social institutions are not, the result being the corruption of individual human beings. Like Rousseau and Turgot, Hugo subscribes to the idea of the natural goodness of man. All three believed in progress and in the perfectibility of man. They viewed progress as a basic law of the universe. Created by God, man has the capacity to become a civilized moral person if he is not corrupted by society. It is the corrupting influence of society that is responsible for the misconduct of the individual. If individuals were properly educated then they would not want to do evil. Hugo maintains that society must be changed, but also that it is individuals who must first be transformed. It is these transformed individuals who can then foster the advancement of society. Accepting the Platonic idea that the individual’s soul is noble but the body is degraded, the author of Les Misérables teaches that one must achieve spiritual grandeur and a virtuous character in order to battle for justice in the here and now. Some individuals have the ability to triumph over evil both in themselves and in society and its institutions if they are willing to actively respond to the divine. In Les Misérables, the life of each character influences others. It follows that, if each individual comprehends and accepts his influences on other persons, then society may become more just, caring, and merciful. Hugo contends that the requisite love of humanity can only come from faith in the divine. Faith in God is thus placed at the heart of this work. For Hugo, belief in God by acting people of good will is necessary to instill the social order with kindness and to make society more humane. Like Pascal, Hugo urges his readers to bet in favor of the existence of God and perhaps even in the possibility of an afterlife for the soul. In Les Misérables, there are only a few exceptional virtuous individuals such as Myriel, Jean Valjean, and Enjolras who can attain this level of existence. It follows that rehabilitation and elevation of the social order is most likely impossible given the above requirement and reality. Hugo depicts a society that is nothing more than the collection of individuals whose lives affect one another. For example, it is clear that Jean Valjean is concerned only with the individuals who make up society. In the novel, the circumstances and conduct of various seemingly randomly introduced characters converge and become intertwined with the struggles of Valjean. From the beginning of the story, there is a web of influence that builds as characters affect one another. Early on we see G______, a representative of the assembly during the French Revolution that dissolved the monarchy, humbling Bishop Myriel, who recognizes his moral devotion to humanity and progress, prompting the Bishop to redouble his own tenderness and love for the weak and the suffering. The network of interconnections grows as characters such as Valjean, Fantine, Cosette, Javert, Fauchelevant, the Thénardiers, Marius, M. Gillenormand, Colonel Pontmery, Champathieu, Enjolras, and others appear. The author brings many of these characters together toward the climax of the novel. Les Misérables illustrates that in every idea, and for every person, perspective is partial and, therefore, insufficient by itself. Hugo shows that the complexity of life requires that no one philosophy, perspective, emotion, tradition, or behavior is capable of providing a total picture of what it means to be human. Like Kant, Hugo laments the fact that a person can only perceive and comprehend things through his own consciousness. According to Kant, man’s knowledge lacks validity because his consciousness possesses identity. For Kant, knowledge, to be valid, must not be processed in any way by consciousness. Hugo, like Kant, seems to be looking for knowledge that could be called absolute, unqualified, pure, or diaphanous. Kant maintains that identity, which itself is the essence of existence, invalidates consciousness. To know what is true, a man would have to abandon his own nature, which is an absurd impossibility. It follows that for both Hugo and Kant, reason must be forsaken and the emotions must be embraced, if one wants to deal with the fundamental concerns of existence. Hugo does seem to imply that knowledge can be enhanced by dialectically relating each perspective with opposing viewpoints. However, he realizes that, even with this dialectic interaction, one’s knowledge would still be limited. Even when many angles of perspective can be coordinated simultaneously, one’s understanding of a process, experience, or event is still limited. Les Misérables is a fascinating maze of characters, emotions, ideas, paradoxes, and antitheses. The novel comingles ever-shifting and blurred shades of criminality, heroism, misery, resilience, good, evil, irony, pathos, poetry, free will, providence, action, the social, the spiritual, and much more. Hugo thus deals with the emotions, hopes, fears, passions, and doubts that are reflective of people’s common humanity. Les Misérables is a detailed reporting of men’s feelings and ideas that transcend time and place. This great novel is as relevant today as when it was published more than 150 years ago.